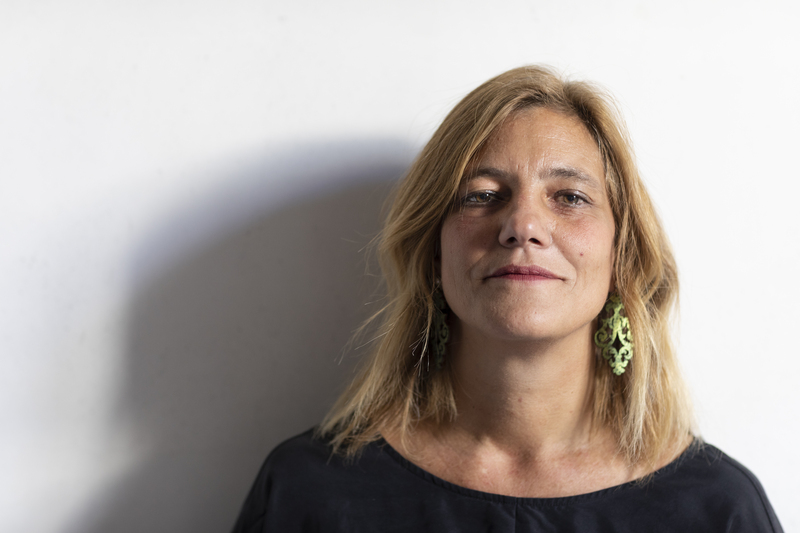 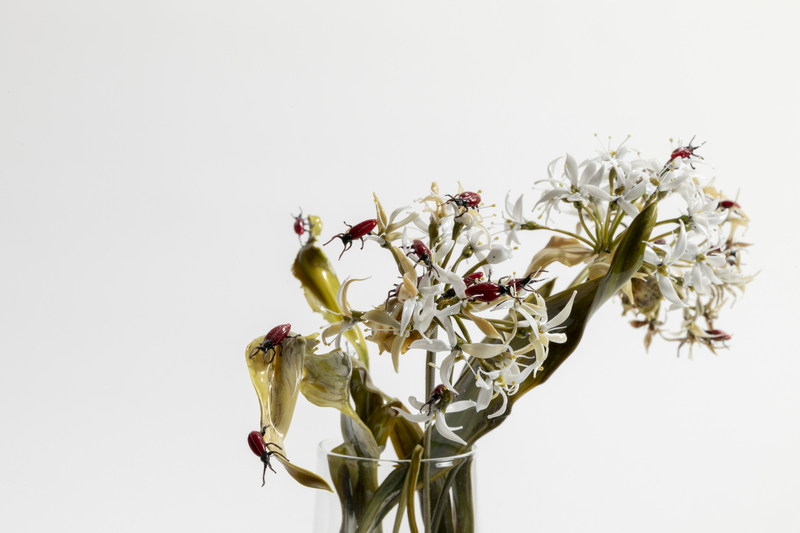 Lilla Tabasso (Milano, 1973), biologist and designer, was born in Milan where she still lives and works. 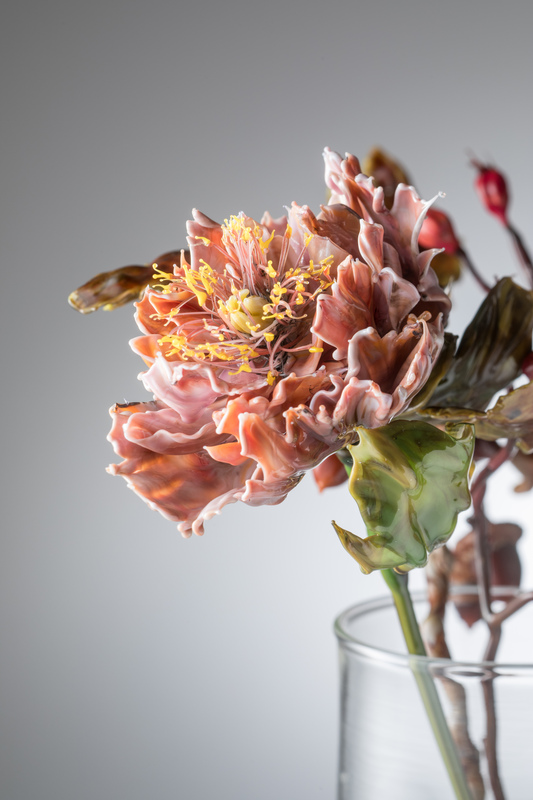 Following her studies at the Faculty of Biology at the University in Milan, she began working with Murano glass using the ancient techniques of blowing and modelling at the flame. 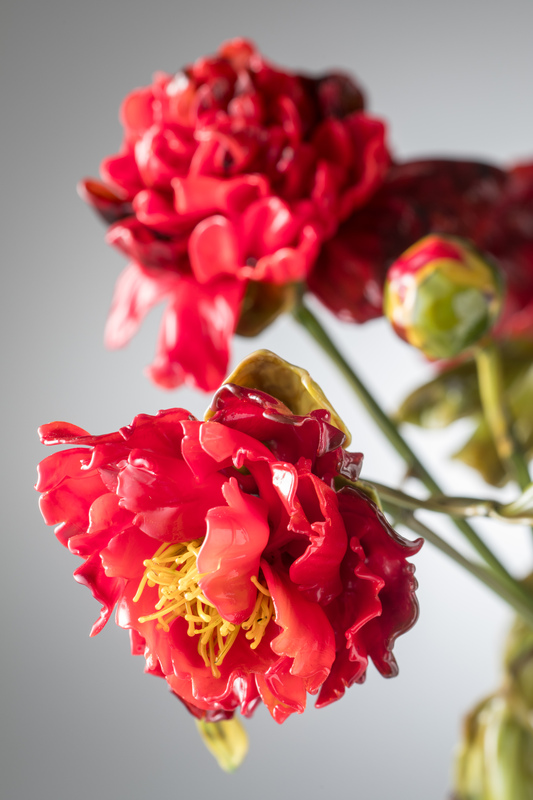 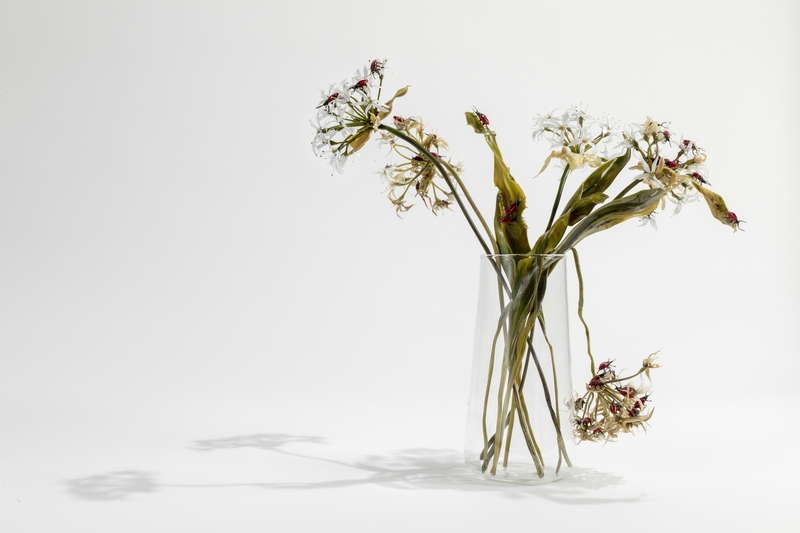 Her artistic experimentation focuses on her interest in, and feeling for nature, aided by her knowledge of botany, and combined with the complex practice of hand-made Glass. 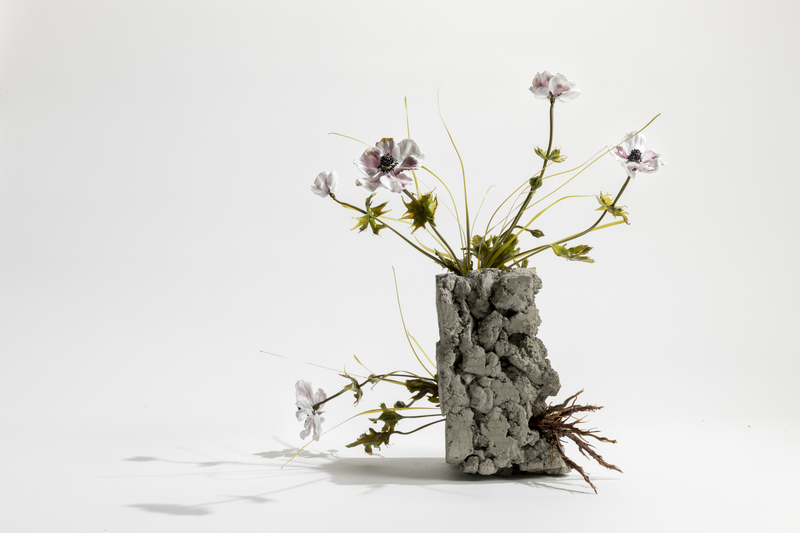 Her works are mainly flowers of incredible realism that draw from nature an infinite palette of colors, limpid shades and also – fundamentally for the artist – mutations and imperfections: dry branches, faded flowers and wilting leaves. 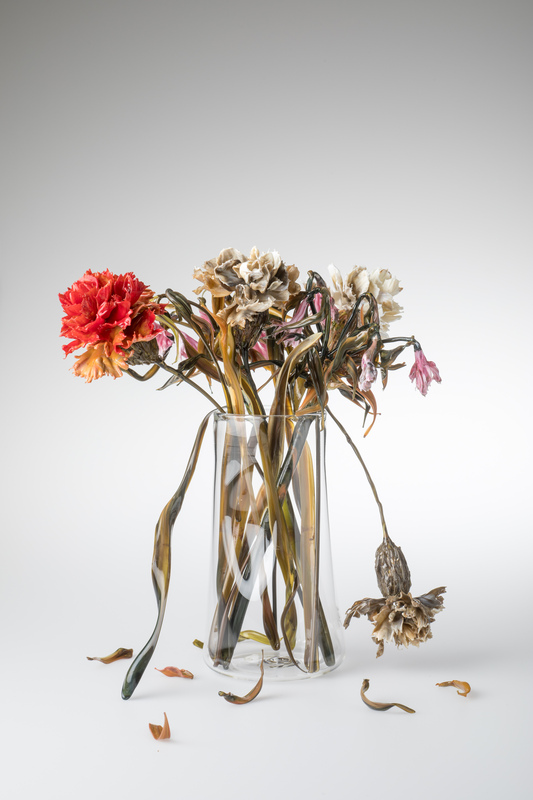 These are referred to in the concept of “Vanitas”, a symbol used in Art History for the transience of earthly life, and the inexorable passage of time. 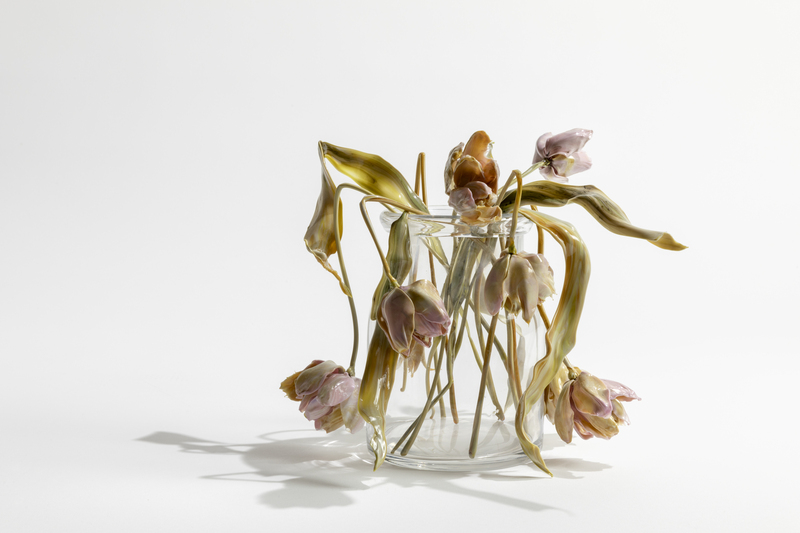 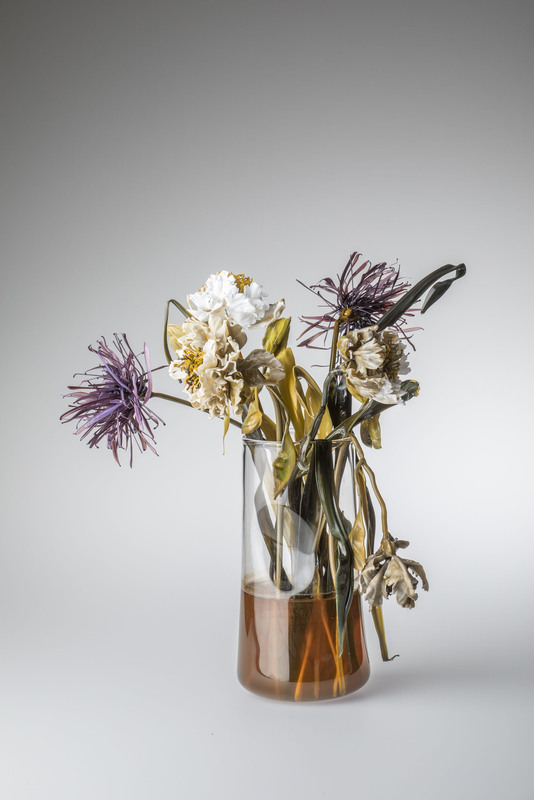 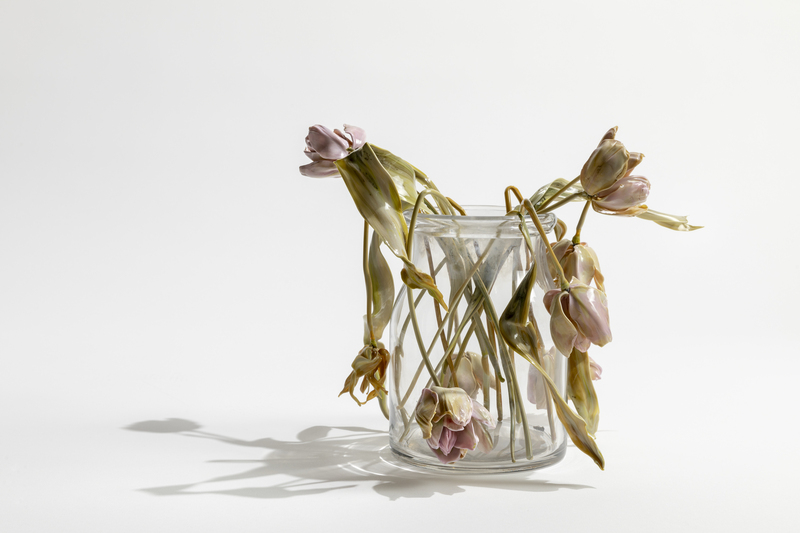 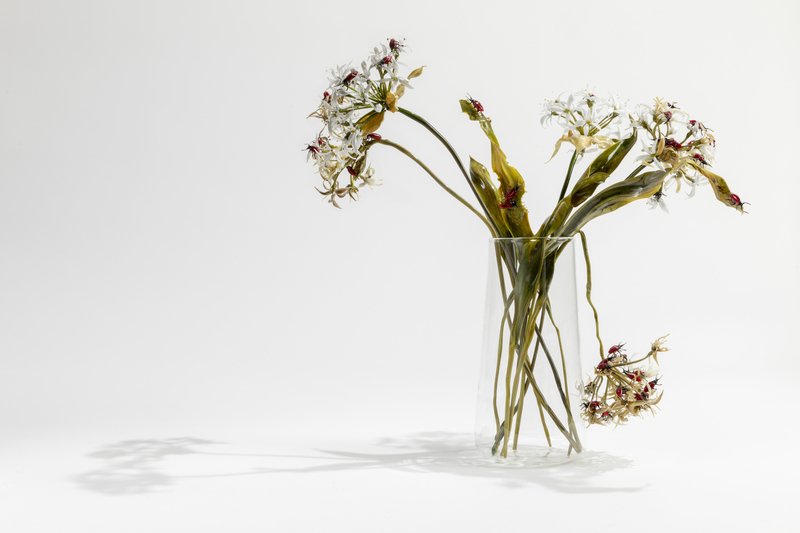 Lilla Tabasso’s style harks back to the “still life” genre which gives shape to a hyper-realism and extreme naturalism. 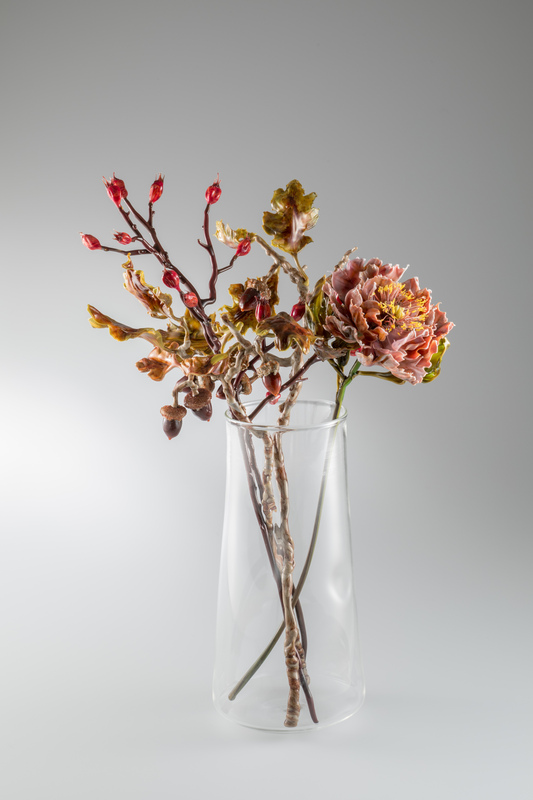 When considering Lilla Tabasso’s work, it is impossible not to mention the work of the Blaschkas, father and son, who were glass masters from Bohemia. 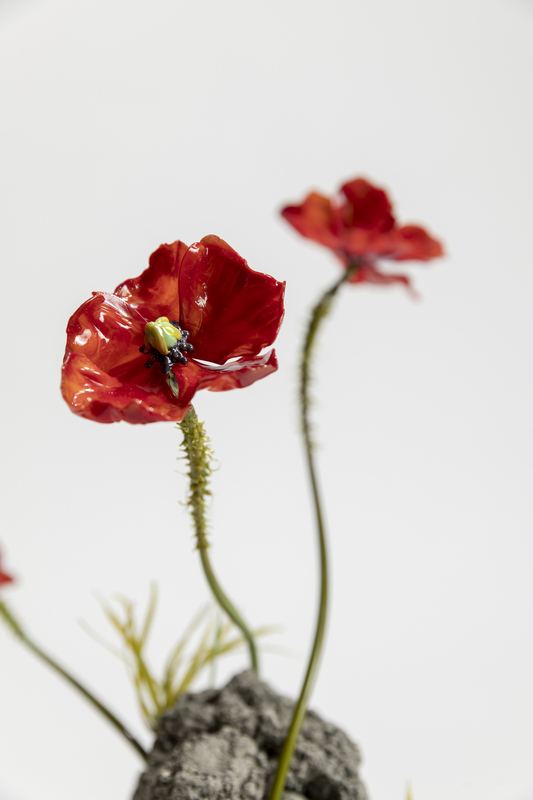 In the 19th Century, following a major commission from the main museums of natural sciences in America, they focused on recreating, for scientific purposes, an incredible number of species of flora and fauna. 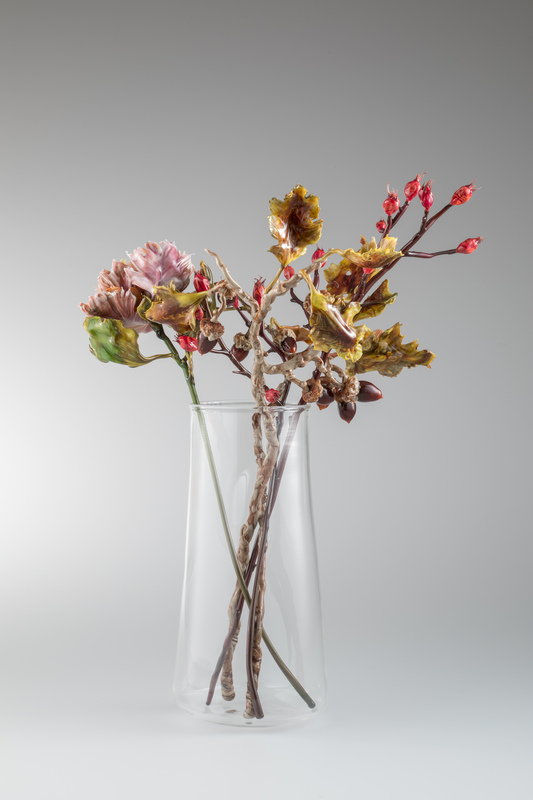 The most famous example is the Blaschka Collection in Harvard, created by Leopold and Rudolf Blaschka from 1887 to 1936, and commissioned by Prof. George Lincoln Goodale, founder of the Botanical Museum. 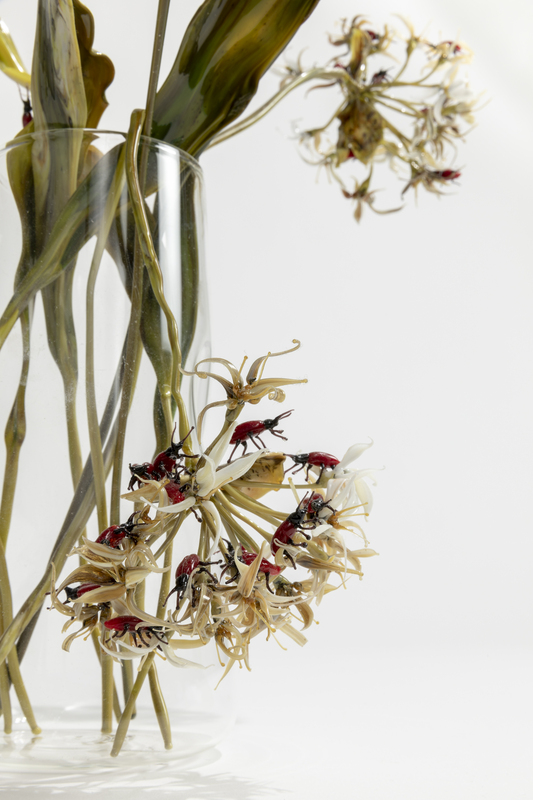 The collection contains more than 4,000 models and 847 species, all replicated to life-size. 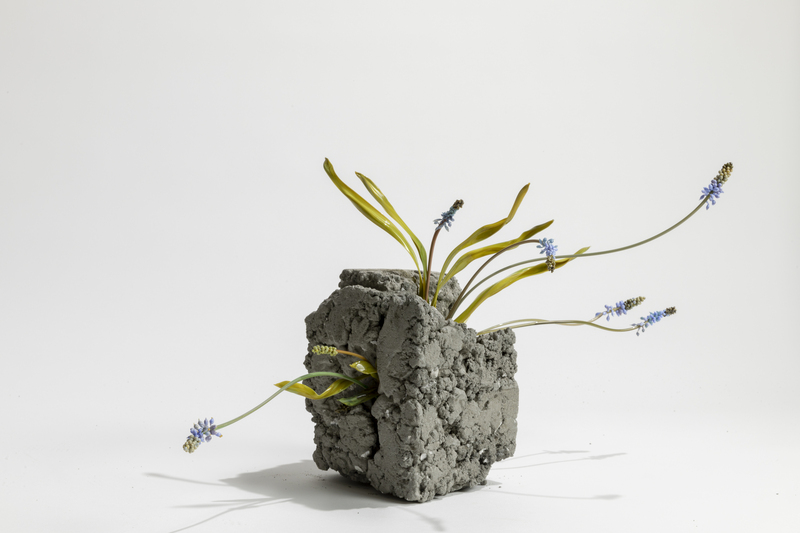 She has continued to develop her own techniques and concepts, arriving at the idea of the small installation. 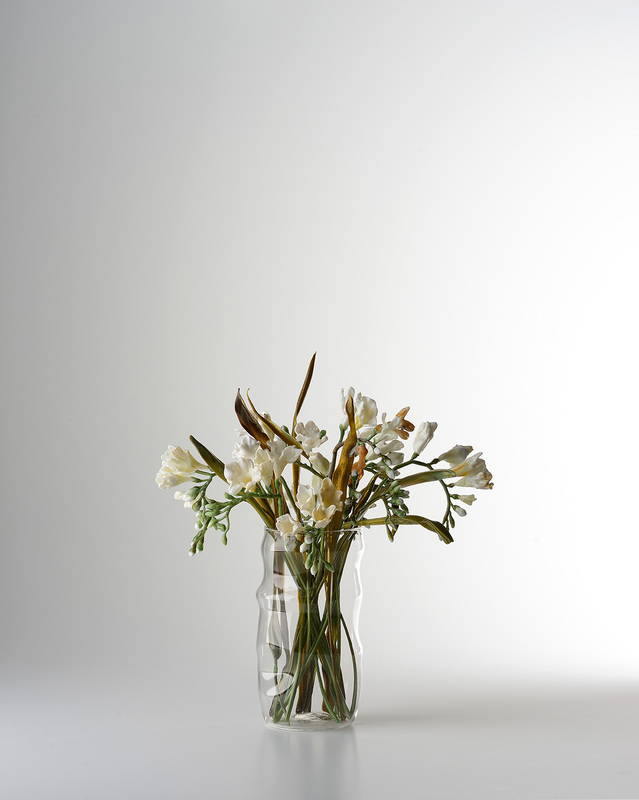 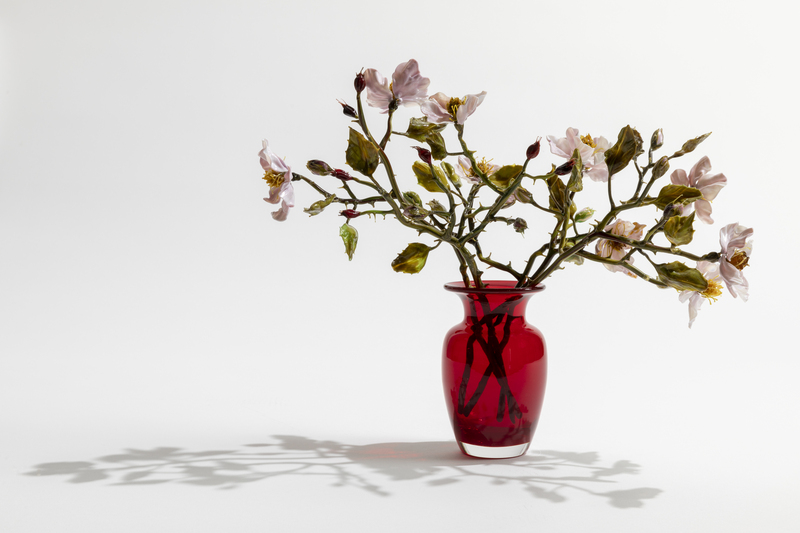 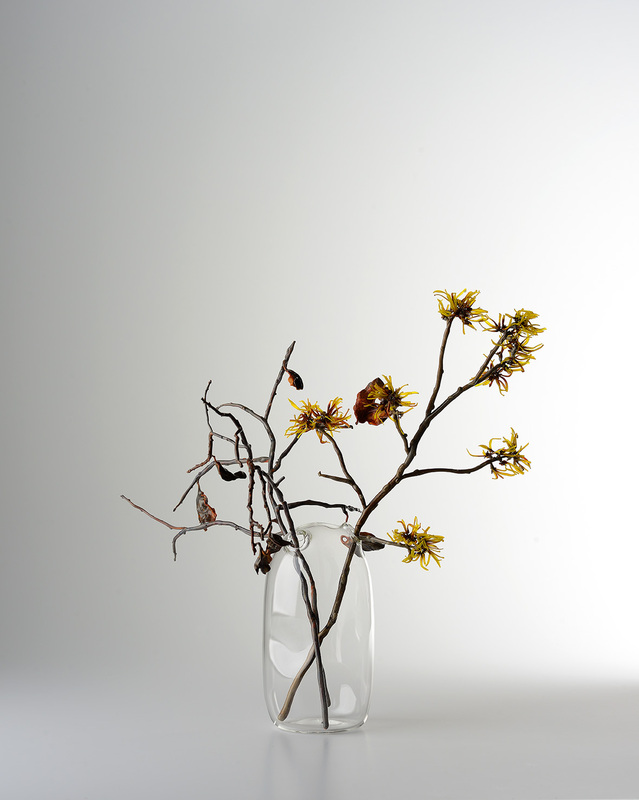 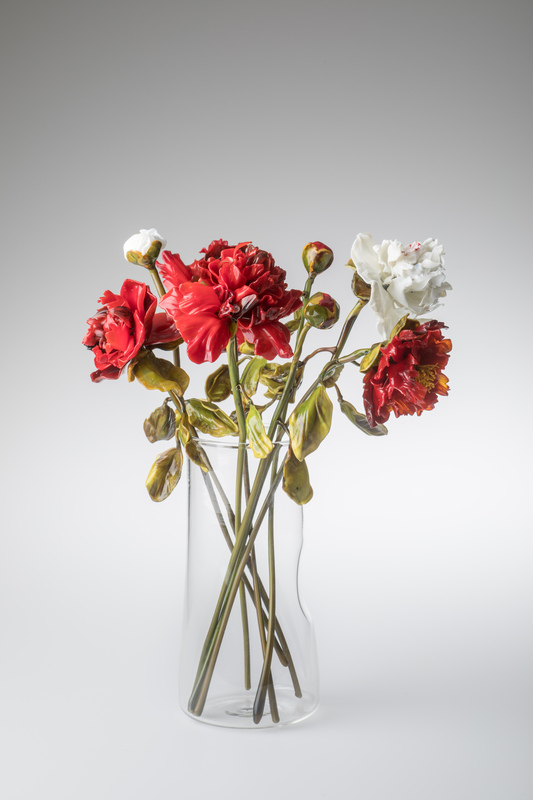 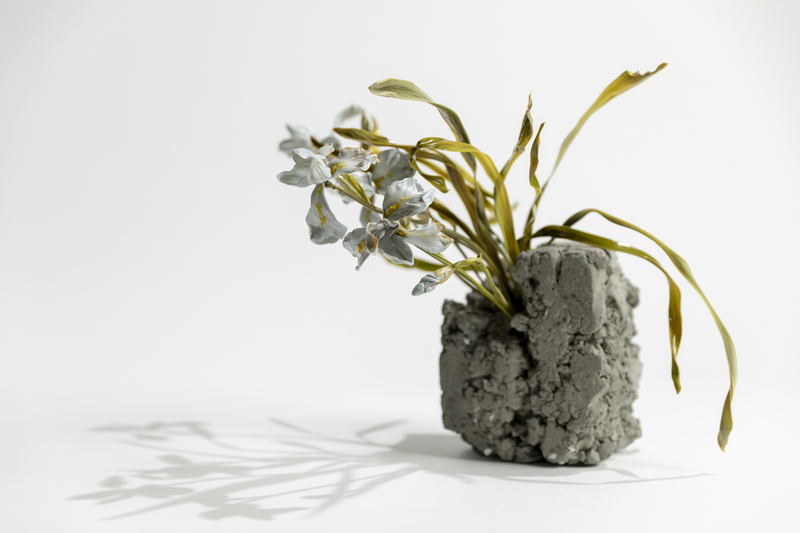 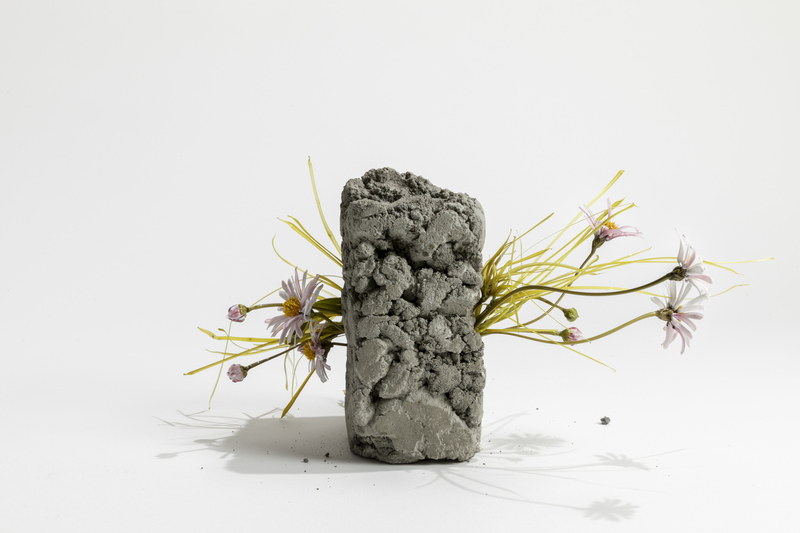 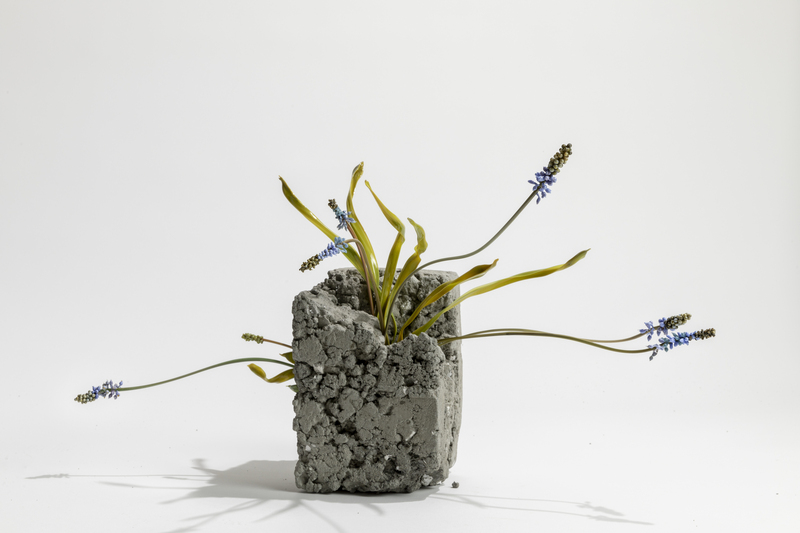 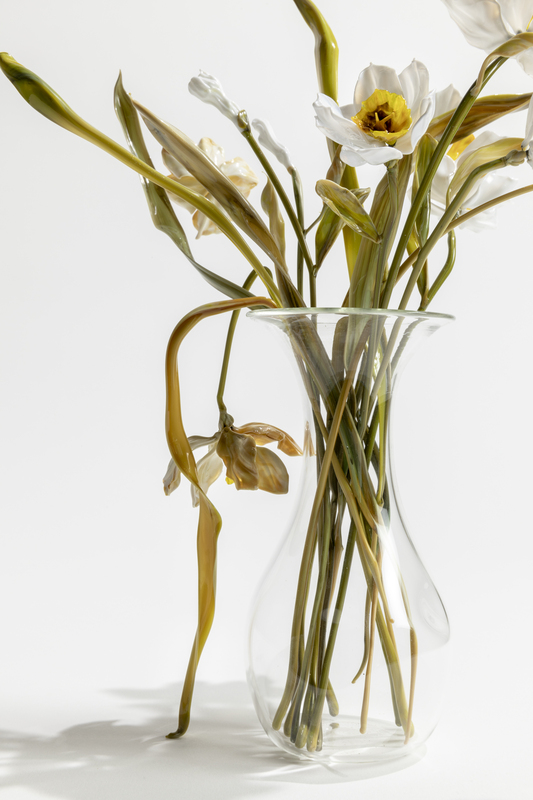 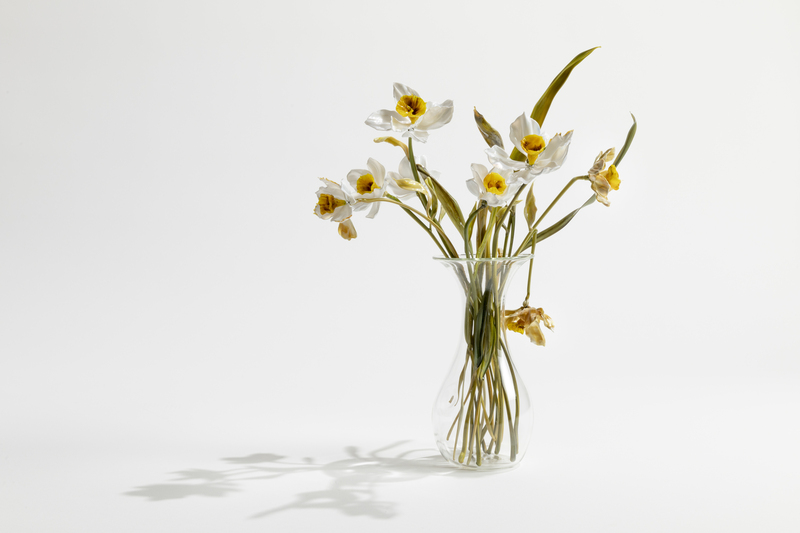 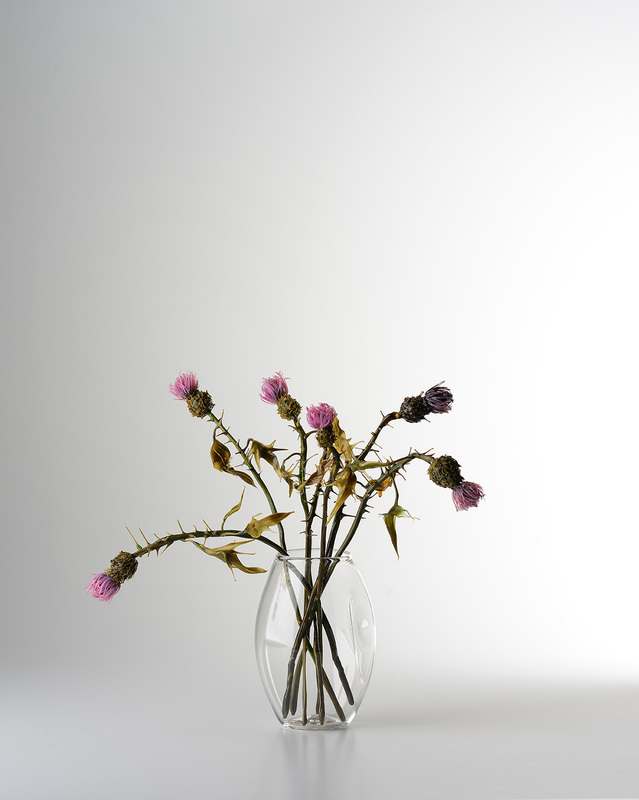 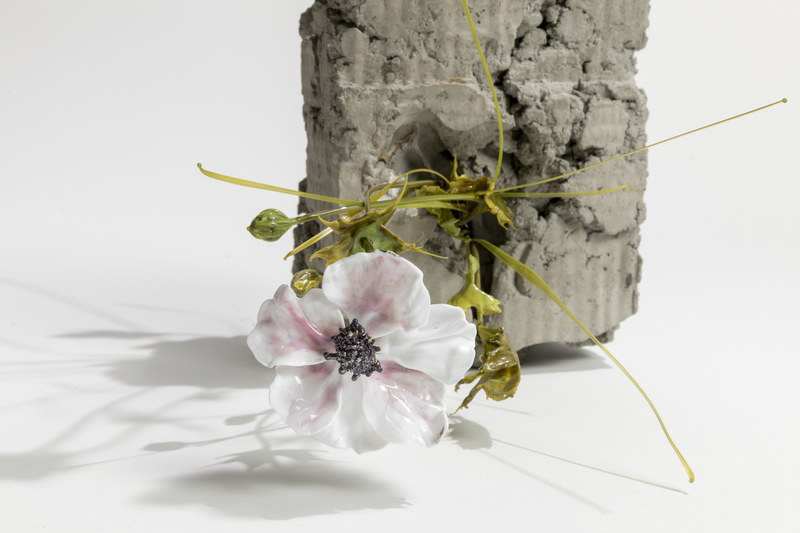 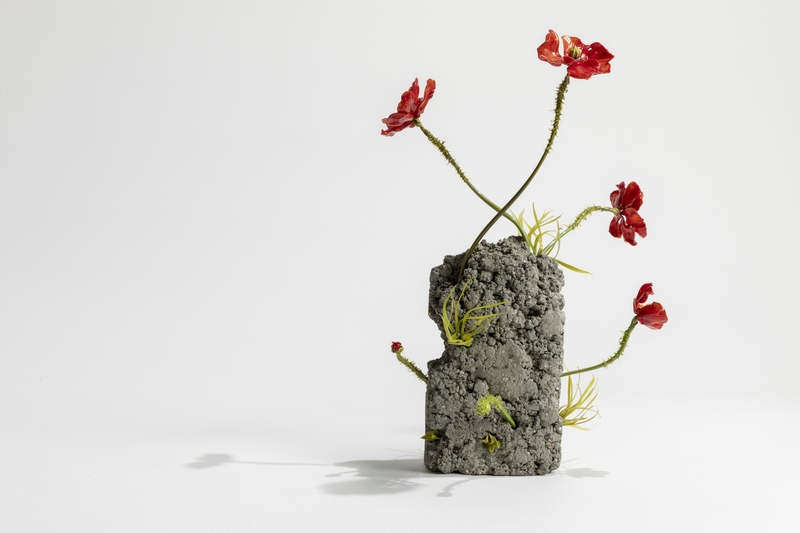 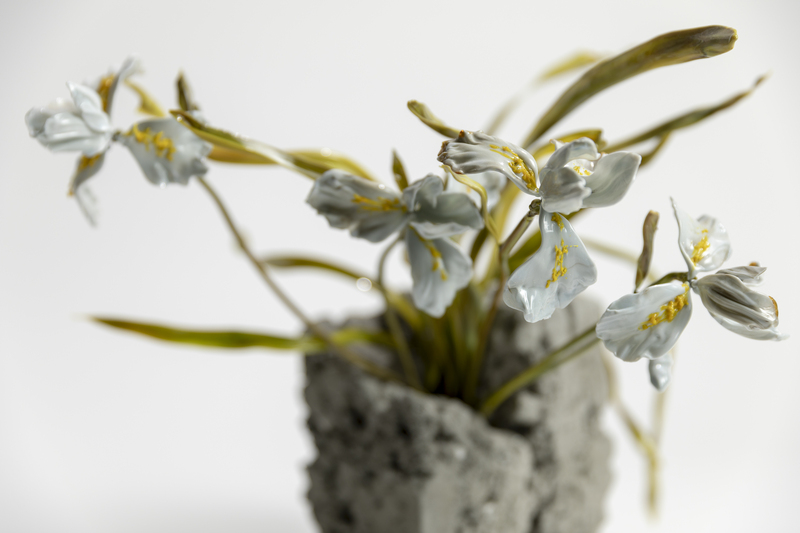 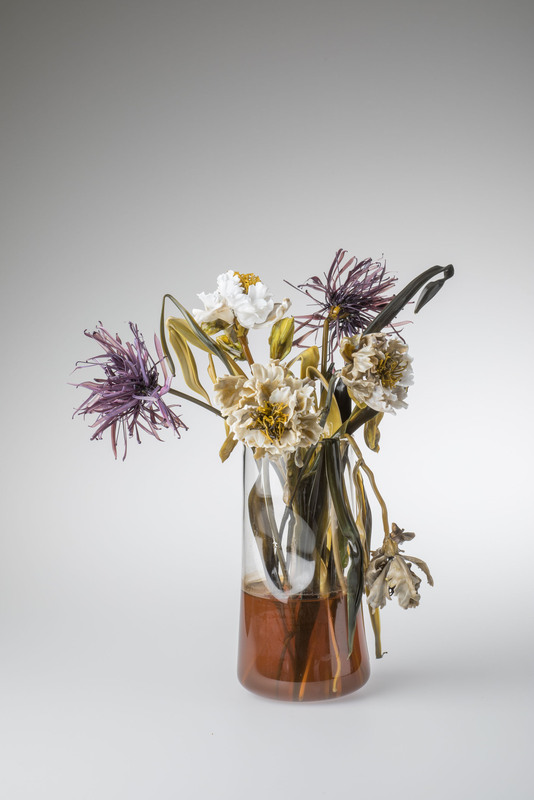 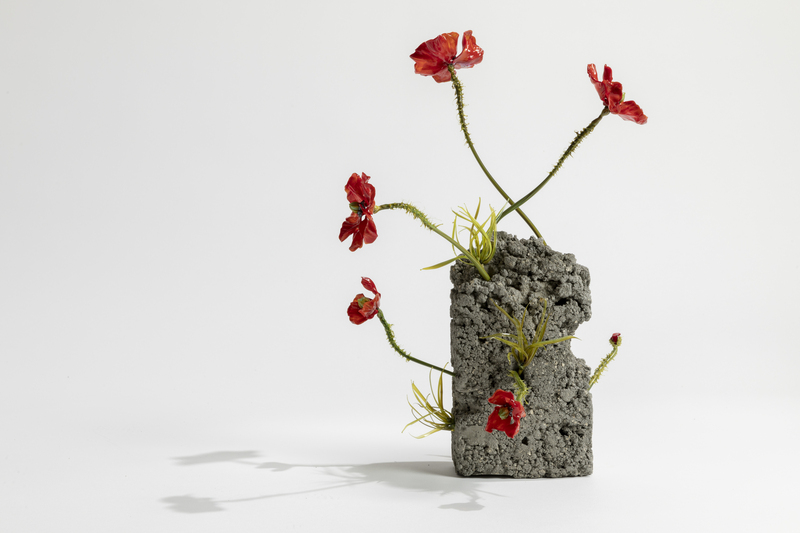 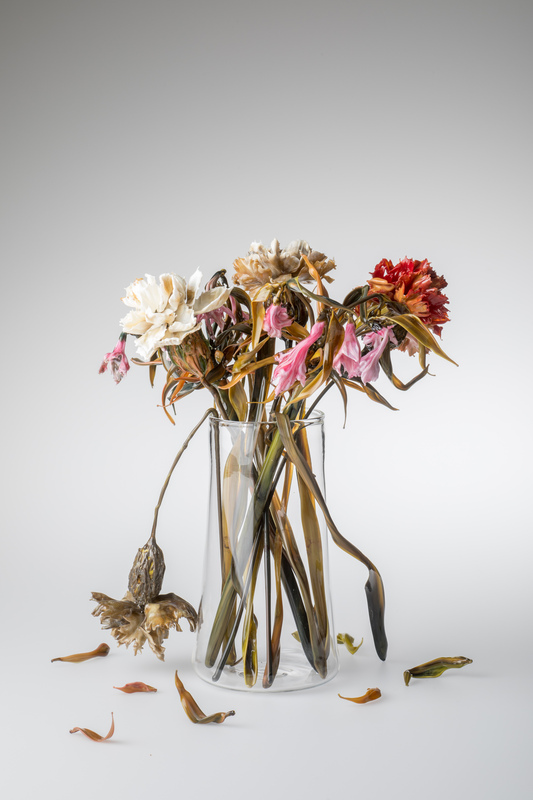 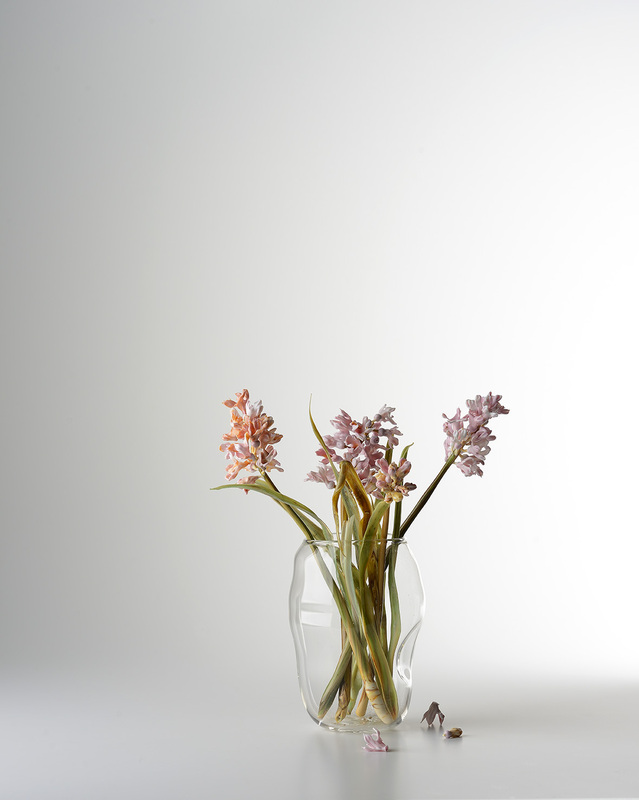 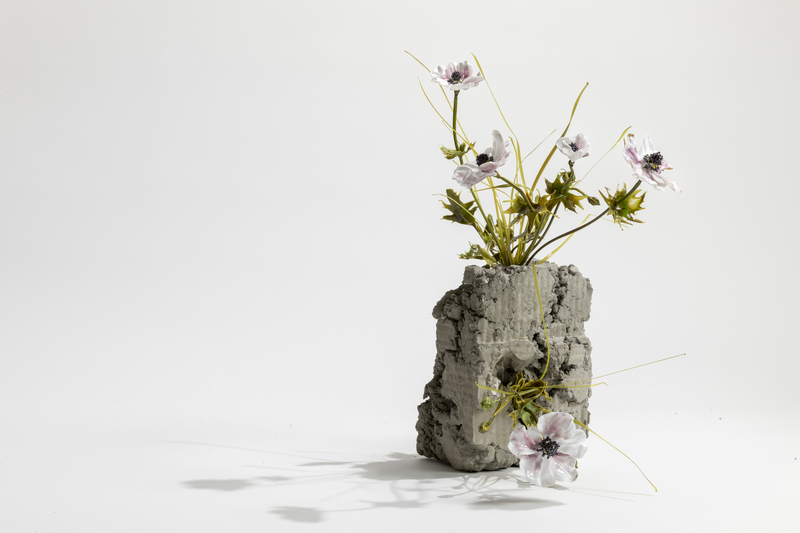 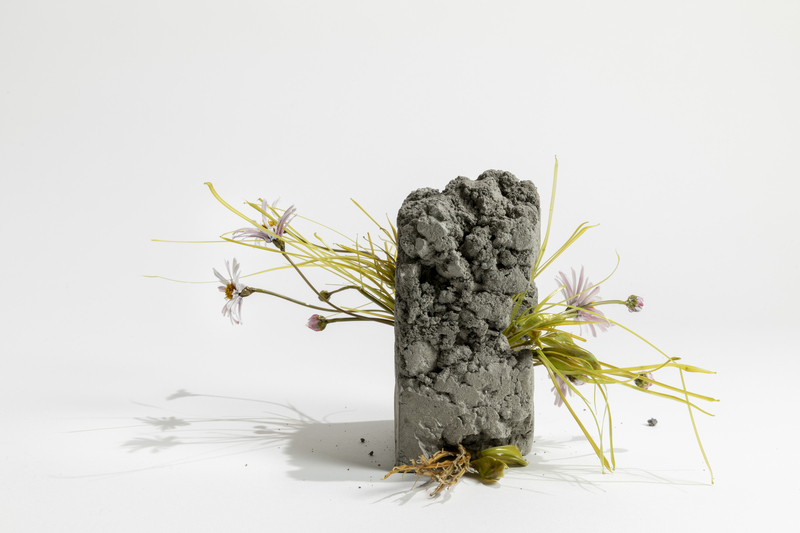 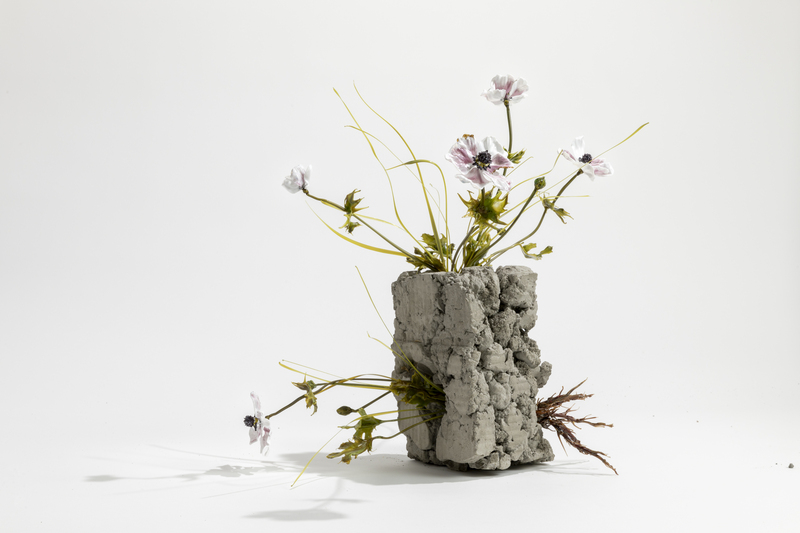 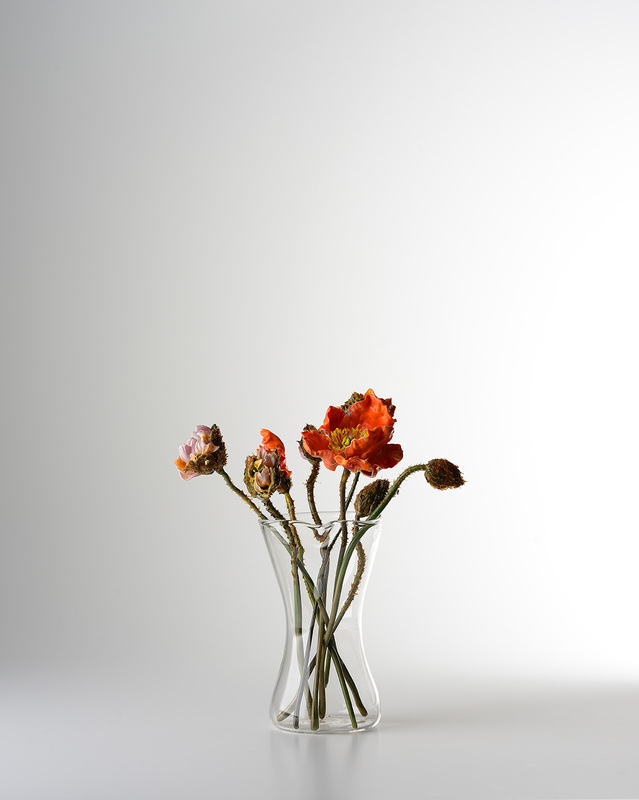 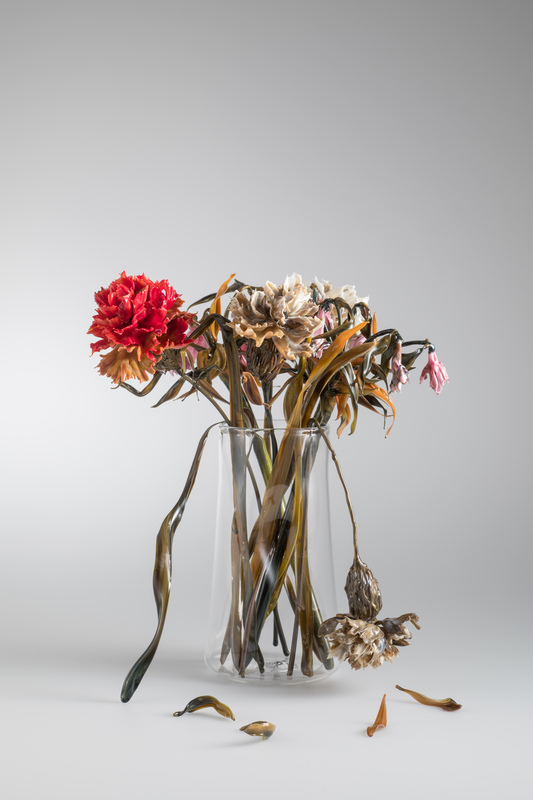 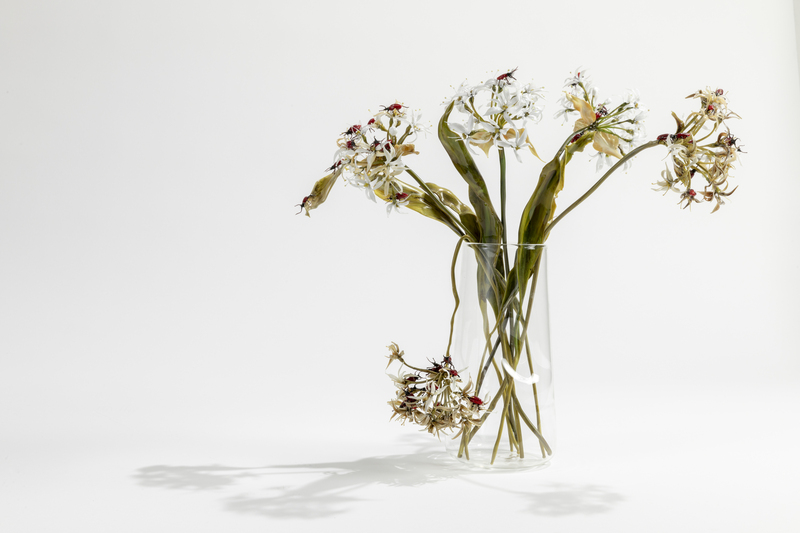 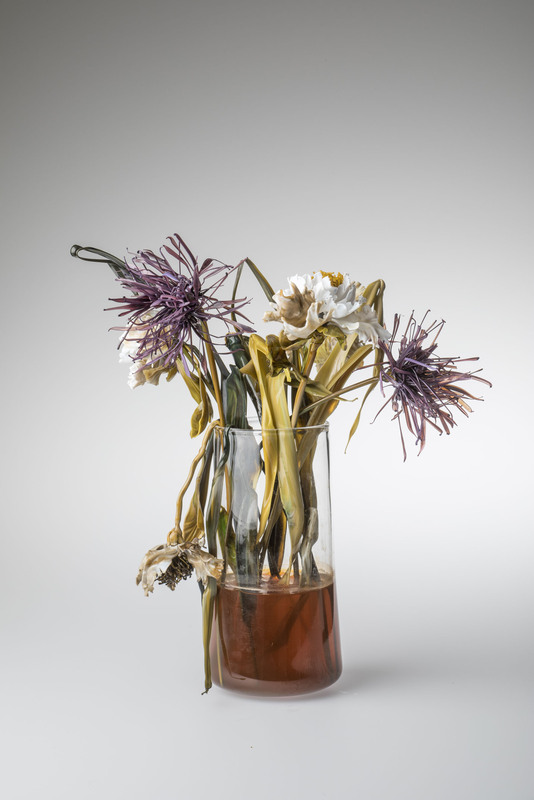 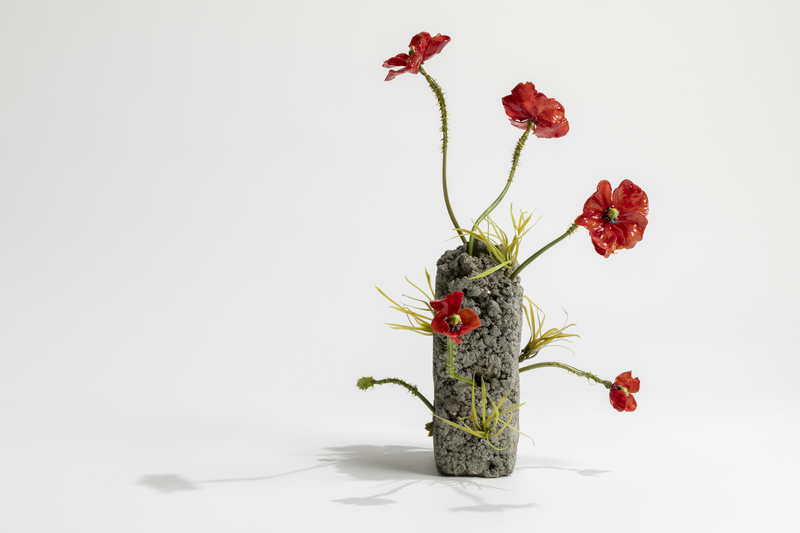 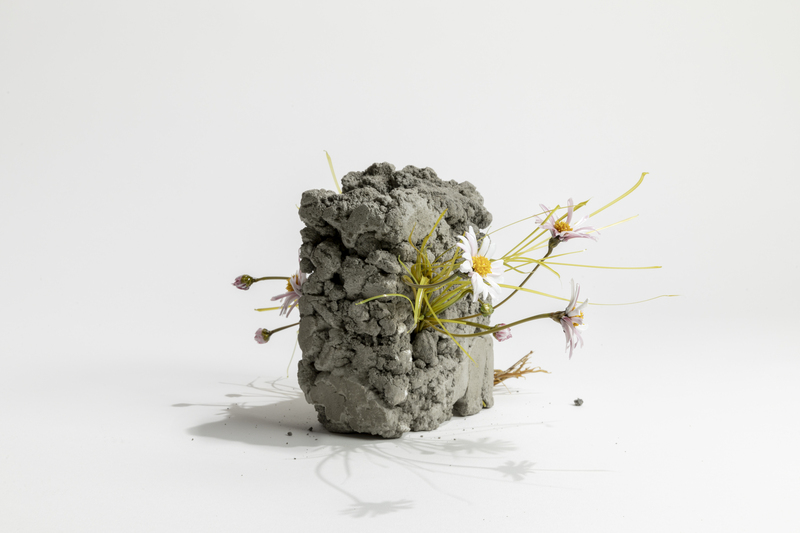 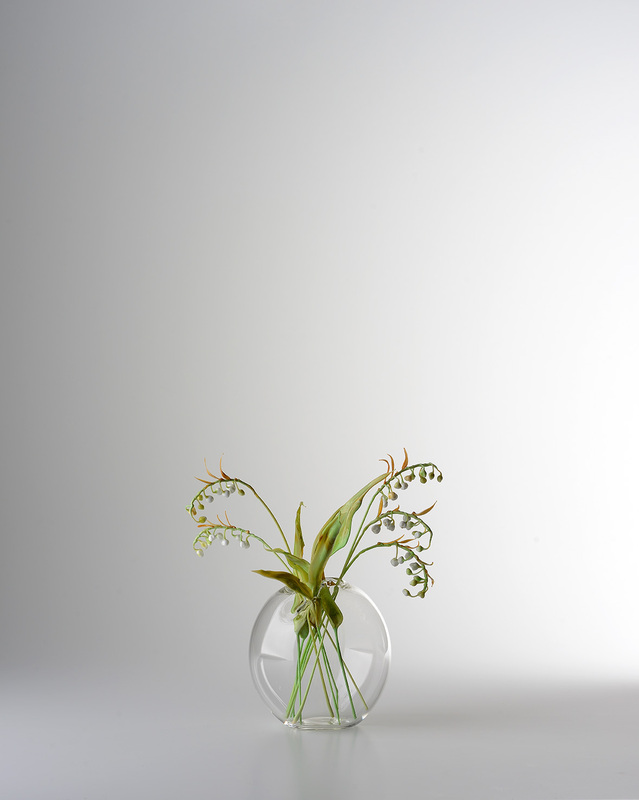 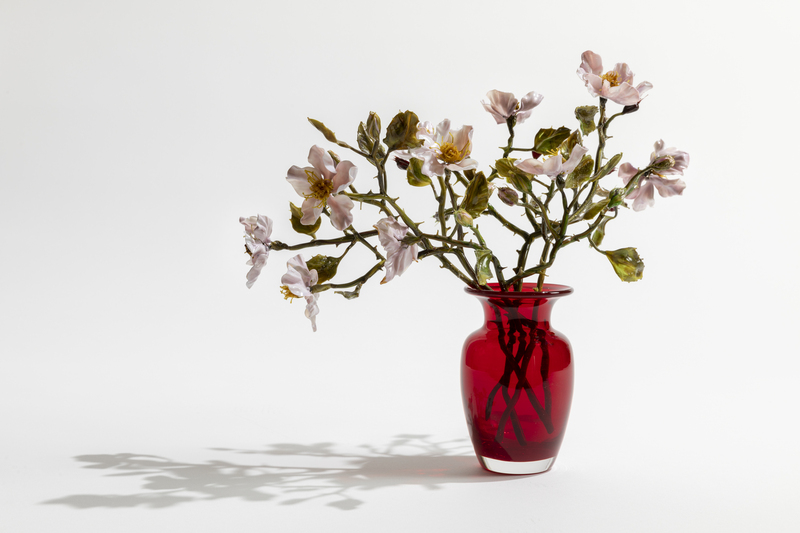 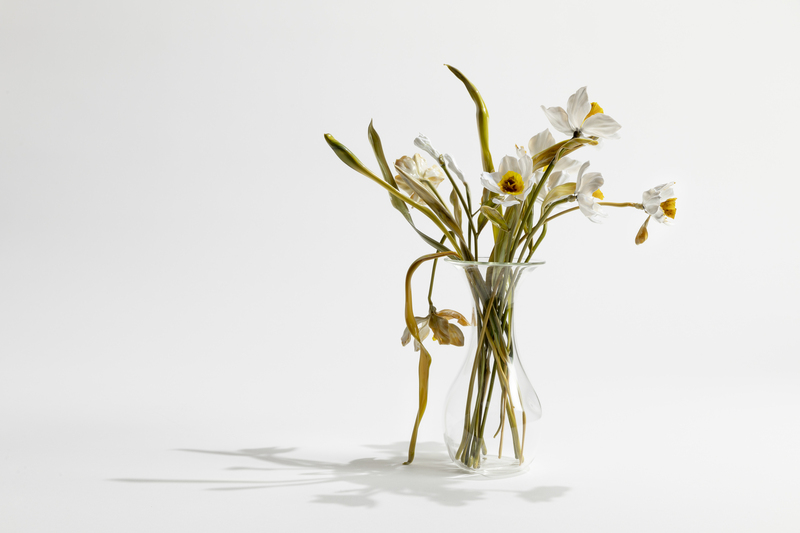 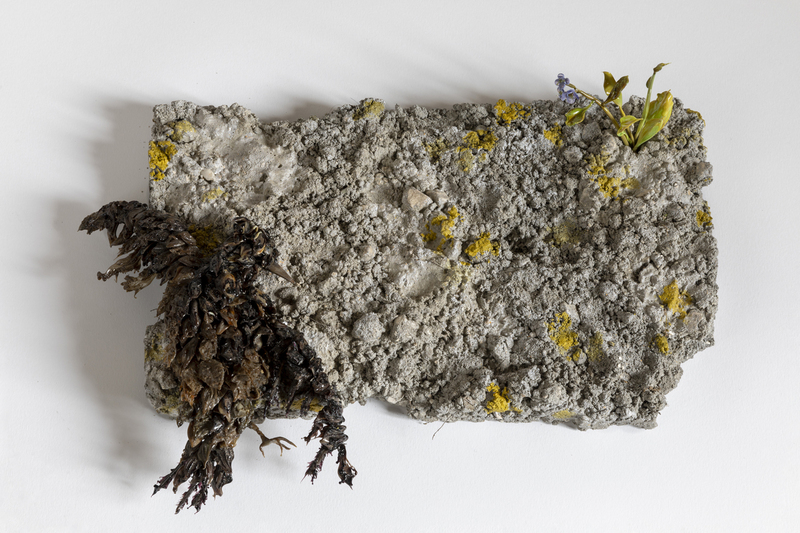 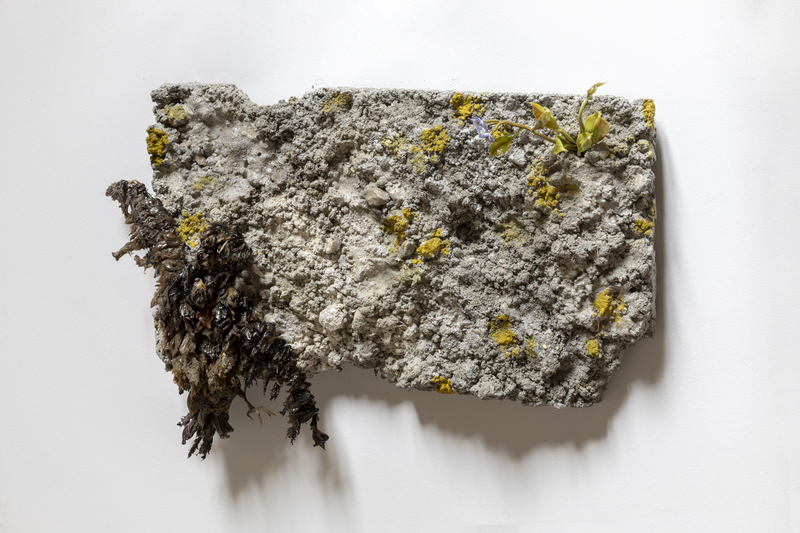 Here, she combines concrete with glass flowers in one object, illustrating that, despite everything, nature will always prevail. 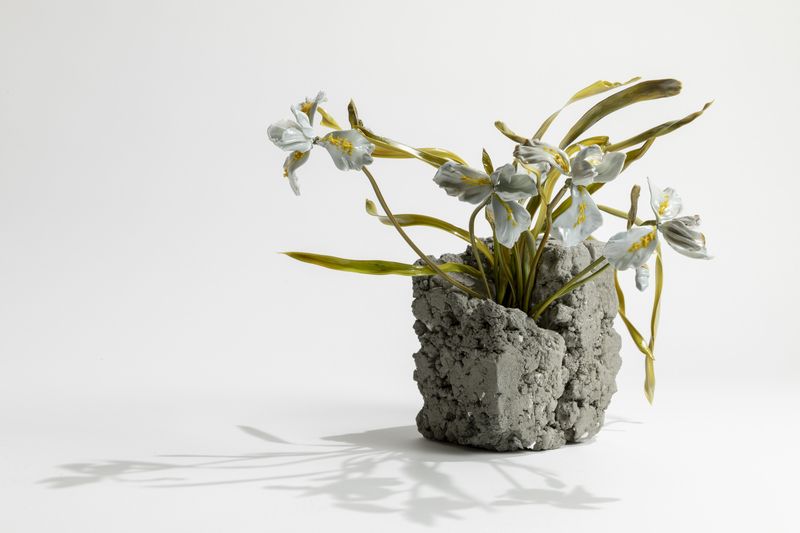 The series Muretto has been created specifically for Design Miami / Basel. 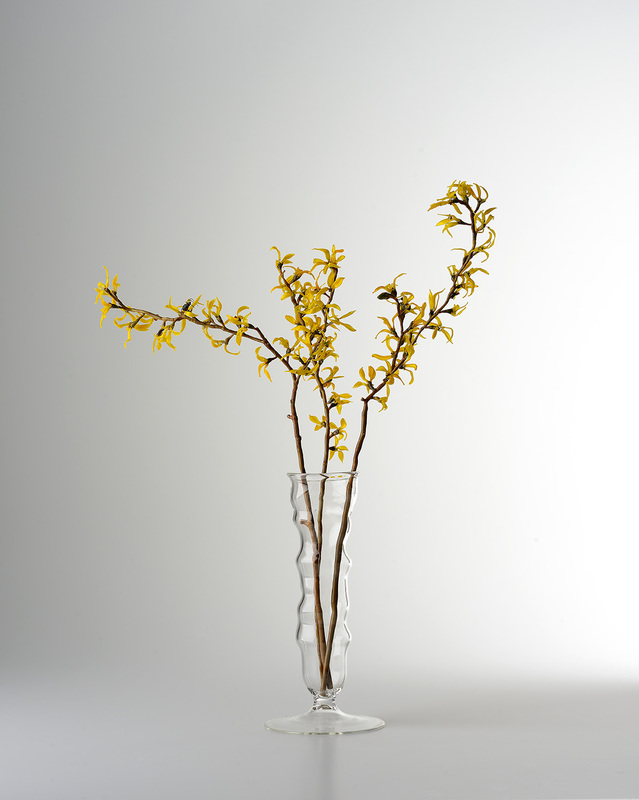 Among her most important exhibitions: Manualmente: il Vetro, Villa Necchi, Milan, 2014; Glass, Villa Vescovi di Luvignano, 2016; Glasslifeforms, Pittsburg; 2016; Murano oggi. 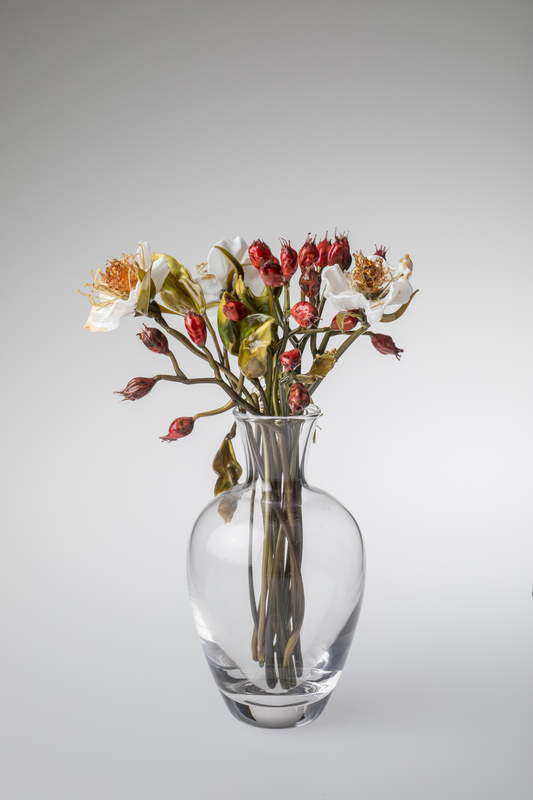 Emozioni di vetro, Museo del Vetro di Murano, 2016-2017; The Venice Glass Week –Bauer Hotel, Venezia, 2017.